I love to bake. Back in the days before kid, I used to bake from scratch all the time. These days, puhlease. Bring on the baking hacks. I just don’t have the time or energy to make full on desserts from scratch all the time any more. I used to say when Goose was out of the baby days, out of the terrible twos. 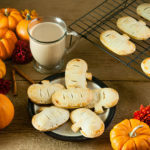 We seem like we’ve turned a corner of sorts with her but still, I have my hands full, and baking scratch made goodies has fallen more of my radar in favor of ways to make delicious desserts so much easier. 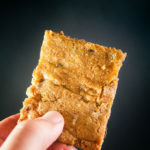 Like last year instead of baking hundreds of cookies, which had been my jam in Christmases past, I made these awesome salted caramel chocolate chip butter bars instead of making homemade cookies from scratch because you can cut the prep time down in half. This year, I bring you store bought cookie dough hacks. I figure I love to dress up store bought cake mix and brownie mix to make things like this Bailey’s cake with homemade Bailey’s icing or Kahlua brownies, why not do it with cookie dough too? 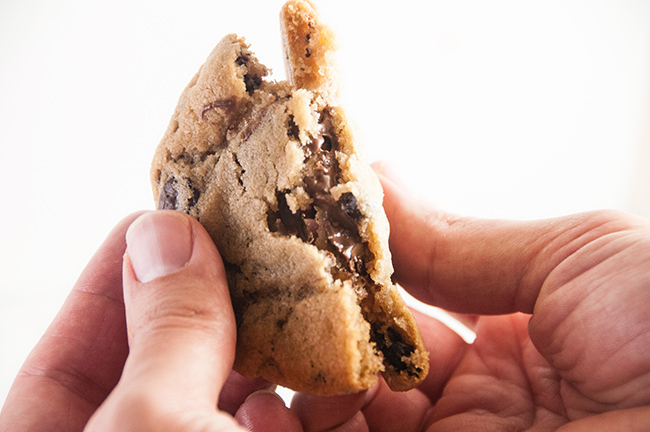 My favorite kinds of cookies are super gooey and loaded. You know the kind when you bite into them and they practically ooze with chocolate or other sorts of yum. 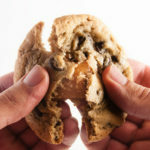 For me, though store bought cookie dough makes for a good cookie, they never have that extra special gooey goodness that makes a cookie great. So what did I do? Obviously I fixed that. And it’s so easy. Just make the large cookie dough balls of store bought chocolate chip cookie dough. Or use homemade if you have the time. 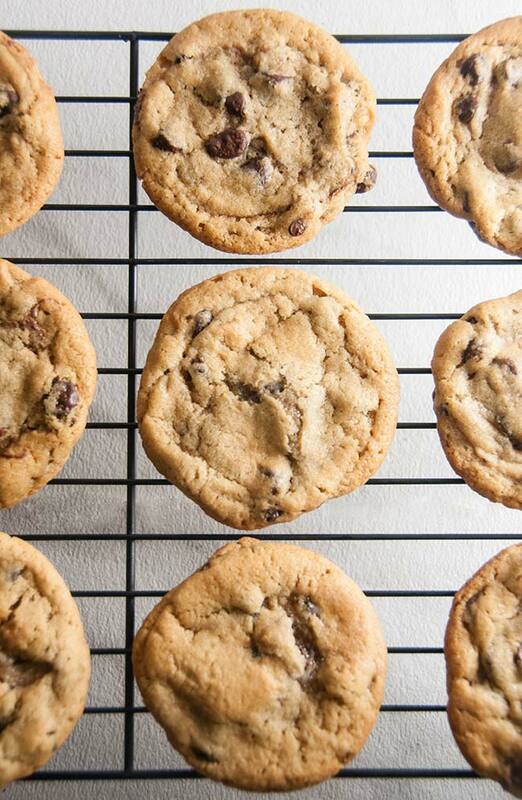 I have a killer base cookie dough recipe that I used to make my skillet chocolate chip cookie. Then you top each cookie with a little cookie dough cap and pop them in the oven. 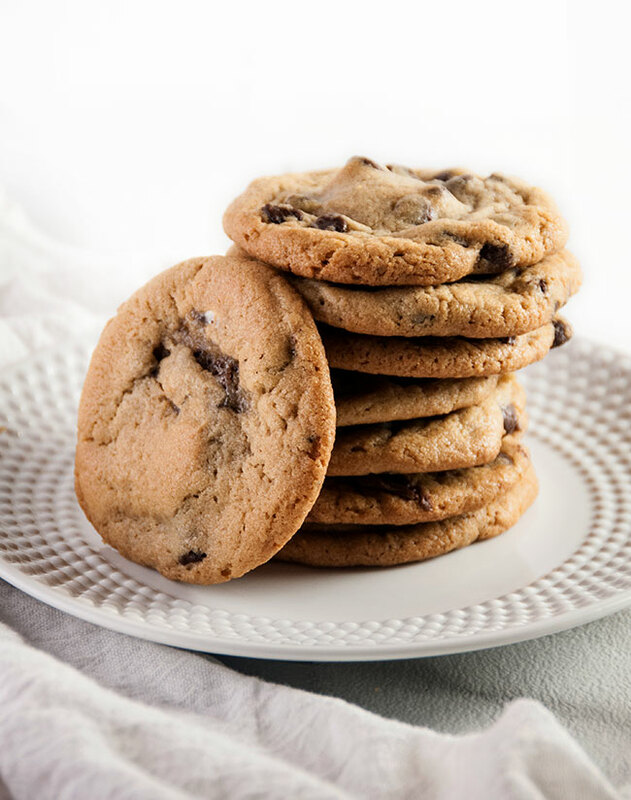 Before you know it, you’ve got cookies that absolutely ooze goodness and taste homemade even though there only sort of homemade. 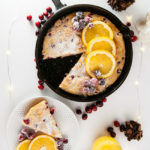 They will definitely impress any friends or family, making them perfect for any holiday event that you are scrambling to bring a last minute dessert to. If there are any left of course. 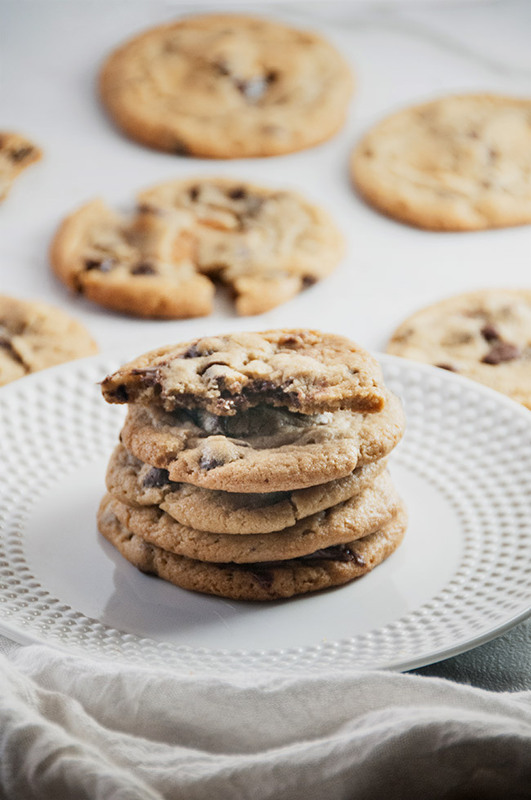 And before you go off to bake these cookies… take a minute to enter this giveaway! To show you how much I love you all for reading my little Three lucky people will win $500 in PayPal cash or Amazon gift cards just in time for a little holiday shopping. 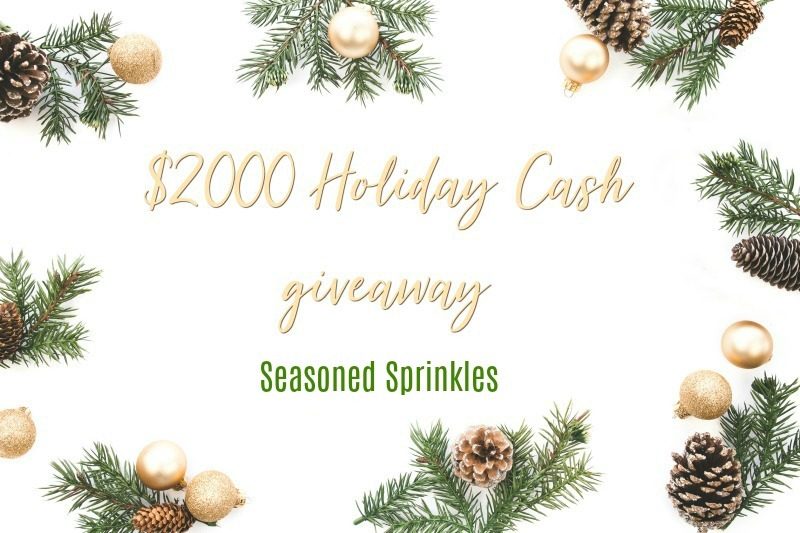 Enter the Holiday Cash Giveaway Here! 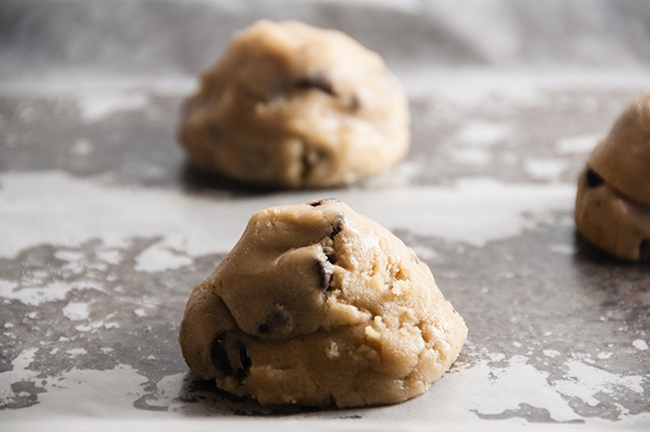 Store bought cookie dough can taste extra delicious when stuffing it with nutella, salted caramel, or s’more stuffing for deliciously gooey stuffed cookies that will taste totally homemade. Preheat the oven to 350 and prepare 3 large cookie sheets by putting wax paper on them. Make 18 large golf ball sized dough balls. 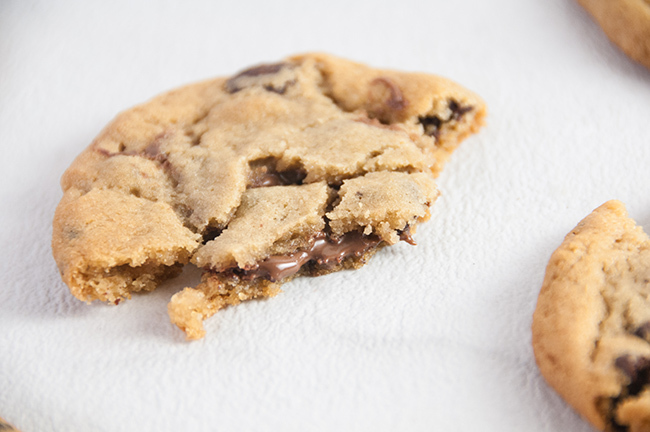 For the 6 Nutella stuffed cookies, press the back of a half teaspoon measuring spoon into each cookie to create a well. Top each well with a heaping half tablespoon of Nutella. 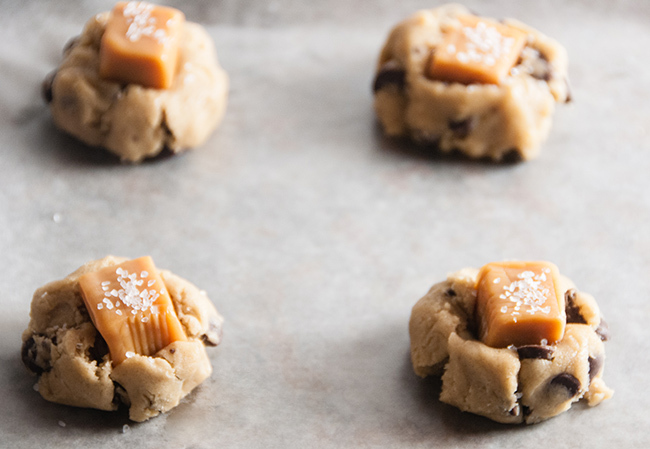 For the 6 salted caramel stuffed cookies, press an unwrapped caramel square into the center of each cookie. Sprinkle each caramel with sea salt. 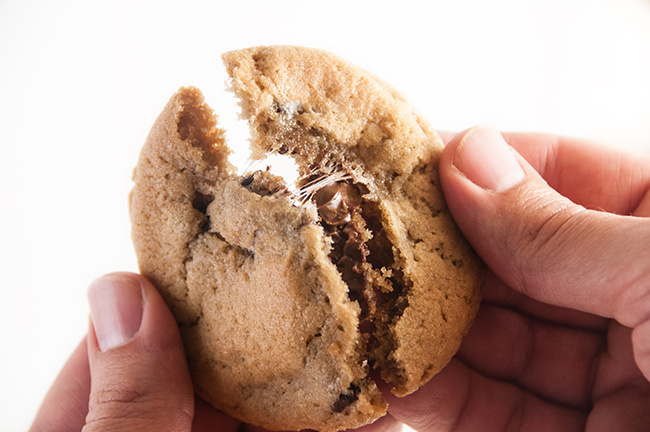 For the 6 smore’s cookies, press the chocolate square into the center of each cookie. Top the chocolate square with 2 mini marshmallows. Make 18 small flat circles out of cookie dough. 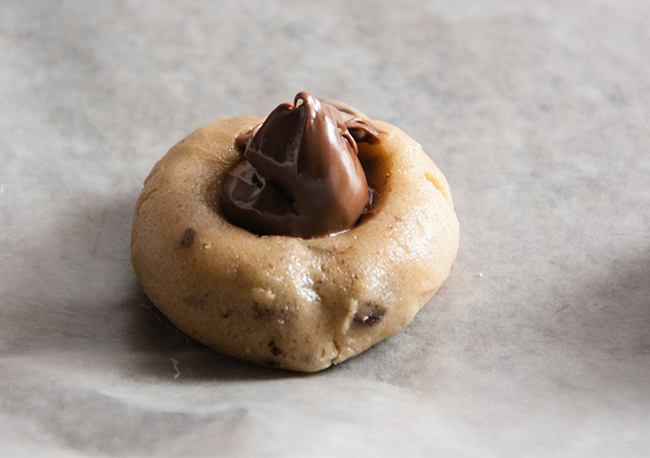 Top each stuffed cookie with the little cookie dough topper. Seal them together by pinching edges of seems. Bake for 10-12 minutes or until the edges of cookies are golden and center is lightly set. Let cool before removing from wax paper. Feel free to triple the stuffing of any one filling and make a whole batch of your favorite kind instead of a partial batch of 3. 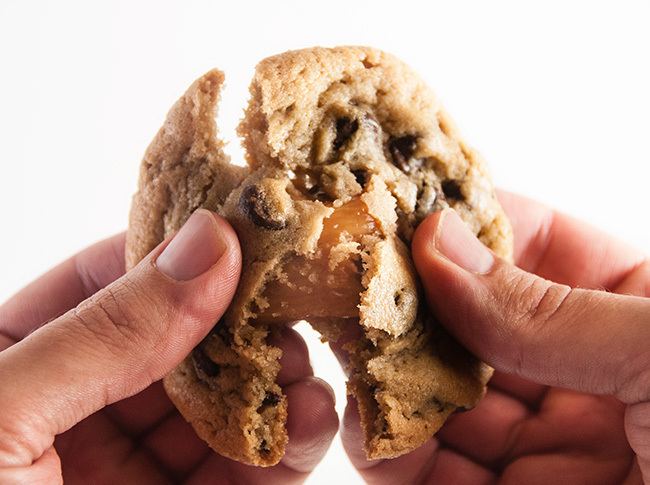 Salted Caramel stuffed cookies? Um, YES PLEASE! 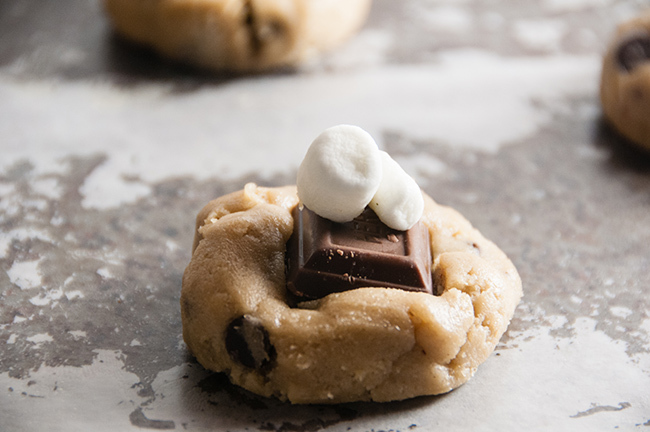 All of these cookie hacks look divine! With 2 littles these are totally doable this holiday season. 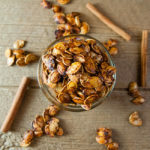 Plus, they sound delish! Mmmm…your stuffed cookies look fabulous! And I love your images. I want one of your cookies right now! LOVE all these cookie variations! The s’mores are definitely my favorite! Wow! Stuffed cookies are next on my list to bake! Can’t wait to try the caramel ones! I want to try the salted caramel stuffed cookies.